Medical Fees 2019 includes everything you need to review your fees, set fees for new services, challenge low payments from third party payers, and evaluate managed care contracts. The fees are based on an analysis of over 1 billion actual claims submitted to third party payers. 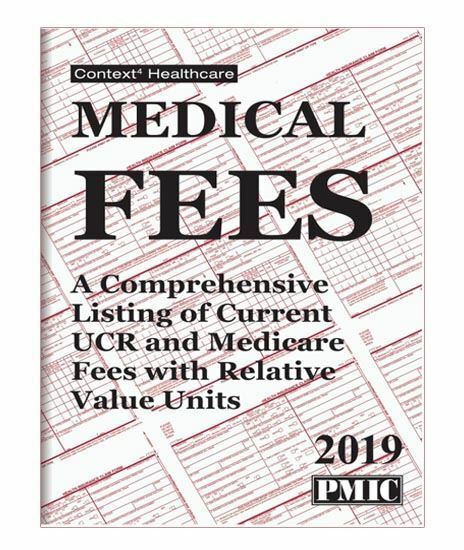 Includes a comprehensive introduction and listings for over 8,500 CPT codes with expanded descriptions, fees at the 50th, 75th and 90th percentiles, plus Medicare fees and relative values (RVUs). Also includes geographic adjustment factors to help you fine-tune the data to your geographic area of practice.